Imagine the scene. 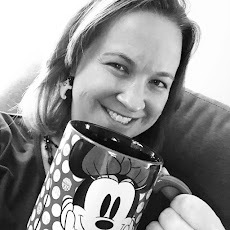 You've been on a Disney-rific vacation for 10 days including an amazing 7 days on a Disney Cruise followed by a few days at the Contemporary with your hubby and 17 month old. It's the last day of vacation and you are (sadly) preparing to leave. You're a Disney expert, so of course you're taking advantage of airline check-in at the resort leaving you with a small carry on at bell services and a stroller and diaper bag for your final few hours at Walt Disney World. After a magical character breakfast at Chef Mickey's, you head to the bus stop to catch a ride to Hollywood Studios. Not long after the bus pulls away from the Contemporary, with no warning at all, your 17 month old throws up. . .everywhere. I mean everywhere - inside of the diaper bag, all over himself, all over you, and all over the bus. This was my reality. A flood of emotions rush over me. I'm horrified and embarrassed that this is going on while we're on a bus with other families getting ready to start their day. I'm concerned and saddened for my little guy who looks terrible and is crying because he got sick. And I'm instantly stressed. We've checked out of our hotel room, our flight isn't for another 8 hours or so, and all of our luggage except the diaper bag and a small carry on is already on it's way to MCO. While the bus is on it's way to Hollywood Studios, my husband and I clean as much of the bus and ourselves up with baby wipes as we can. The bus driver is incredibly helpful, offering us a roll of paper towels when he stopped at a traffic light. In fact, everyone on the bus couldn't have been nicer about the situation. Many of the people on board looked at us like they completely understood and have been there before. When we got off the bus at Hollywood Studios, we needed to make a game plan. Since we were stranded until our Magical Express bus was due to pick us up in a few hours, we decided to head into Hollywood Studios and try to make the best of the day. So the mom fail in this (besides the sick child), was not packing enough extra clothes. We had one extra outfit for the little guy in the diaper bag which we quickly changed him into. However we did not have extra socks or shoes - both of which were covered after the incident on the bus. This meant that we had to find another extra outfit (we weren't sure if he was going to get sick again and wanted to be prepared) as well as socks from a park store - not a cheap endeavor. In the future, I would always recommend packing at least 2 complete outfits, especially on travel home day when you don't have access to your luggage. This taught me to always expect and prepare for the worst - then be grateful when things go according to plan. You'll be happy to know that Brody made it through the rest of the day without getting sick again. He slept most of the day at Hollywood Studios and looked like he wasn't feeling well. It turned out that he had an ear infection which was diagnosed the next day by his doctor. The ear infection had caused him to spike a fever which made him sick. Lucky for us, the ear infection didn't strike earlier as an illness can ground even the most pixie dusted vacation plans. Ha yes, I learned that lesson when my son was a little guy. He puked shortly after we had lunch at the Electric Umbrella, and we were near "Mexico." Back then (2005! ), the shops did NOT have clothes that fit a 2 year old, so the clothes we got him he was able to wear until he was 7! I'm glad he didn't get sick again.